Nursery & Toy Cleaner is formulated from pure plant ingredients with babies and their busy mothers in mind. Our fragrance free, pH neutral formula thoroughly cleans all nursery and toy hard surface areas safely and naturally, leaving them fresh and clean without any harmful chemical residues that may be found in conventional spray cleaners. Contains no harsh anti-bacterial ingredients, but works on the principle of thoroughly removing dirt and bacteria with soap surfactant and water. Earth Friendly Products supports Healthy Child Healthy World to create healthier environments for children. (Healthy Child Healthy World’ a non-profit organisation with a mission is to empower parents to take action and protect children from harmful chemicals). 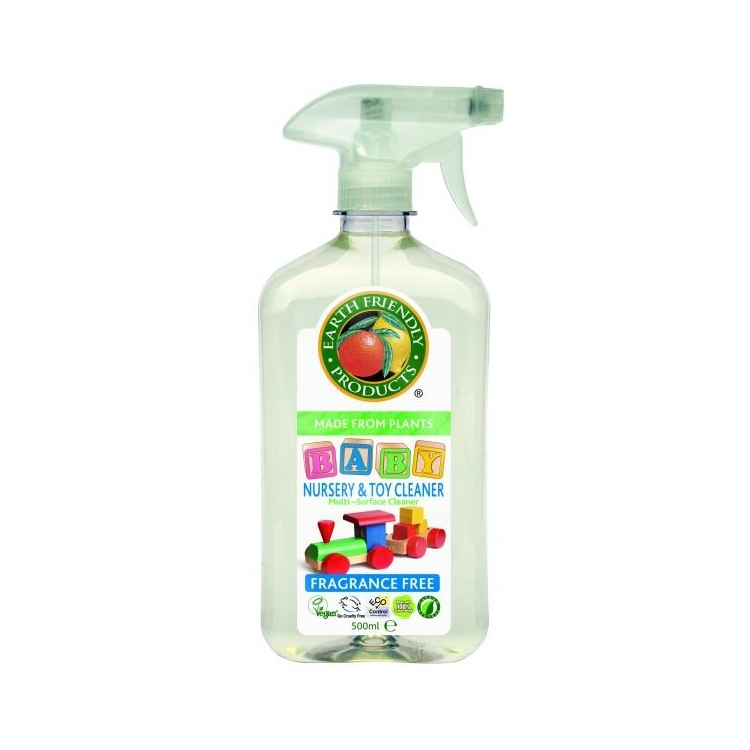 Directions: Spray Nursery and Toy Cleaner directly onto to hard surface to be cleaned. Wipe with clean damp cloth. Repeat as necessary. Ingredients: Water, alcohol denat (corn derived solvent),plant based surfactant (<5% non-ionic). potassium sorbate ( plant based food based preservative),citric acid (plant based pH adjuster).